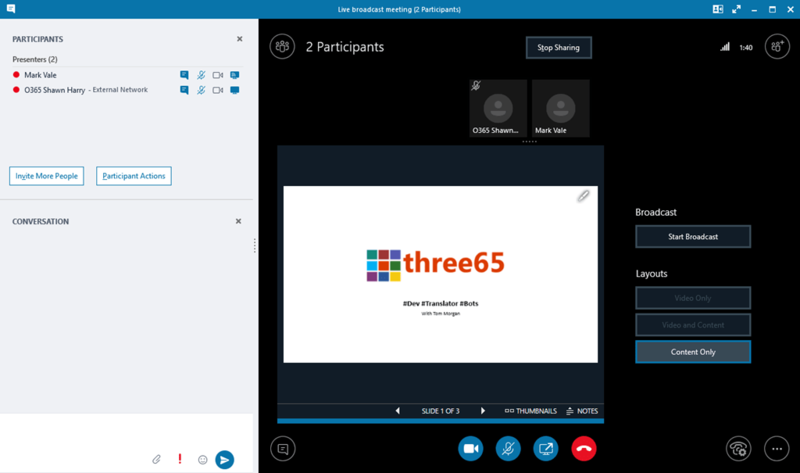 Skype Broadcast Meetings seems to have had a quiet update recently. This may be already common knowledge, but I have only just discovered it. Historically we couldn’t add external team members to a broadcast meeting. By this I mean being able to delegate the presenter / producer role function to users from SIP domains not within the same tenant as the organizer. There was a rather dirty work around by adding a service account to the meeting and allowing the external member to sign in with that to the broadcast login portal but remain signed into their Skype client as their normal organizational account. 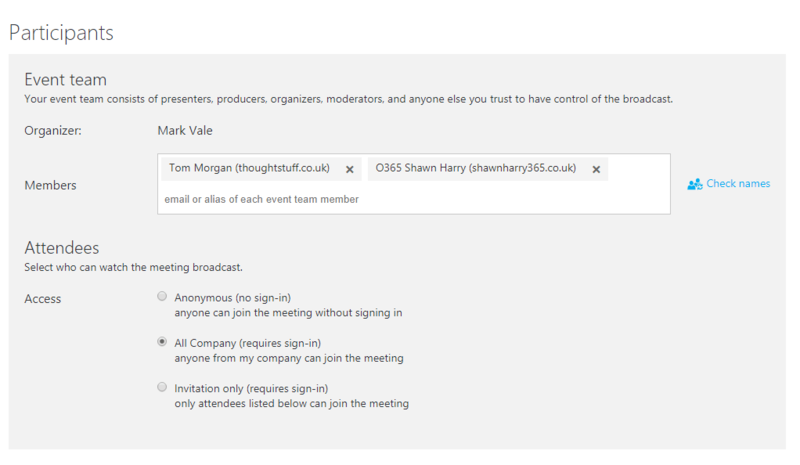 Its seems though that this has changed, and we can now add external users as team members to a broadcast meeting. You have to click on check names to verify the member and this will look up your contacts in Outlook / Exchange Online (although testing with a few that I know aren’t there also seems to work). From testing it seems that if there is an object in Office 365 then this is addible, if a user does not have a 365 object then this cannot be looked up. It appears that the check names functions can look up across multiple tenants? Still not sure how accurate that is, but seems to be the case. Thanks to Shawn Harry for being my guinea pig!